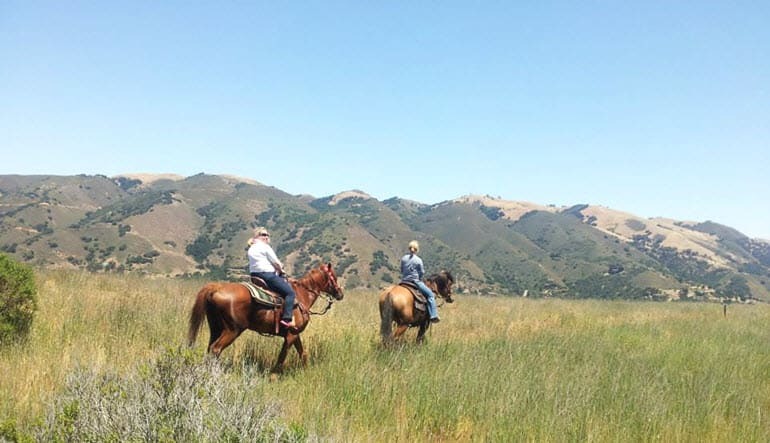 Saddle up to explore California’s natural wonders on a Hecker Pass Horseback ride. 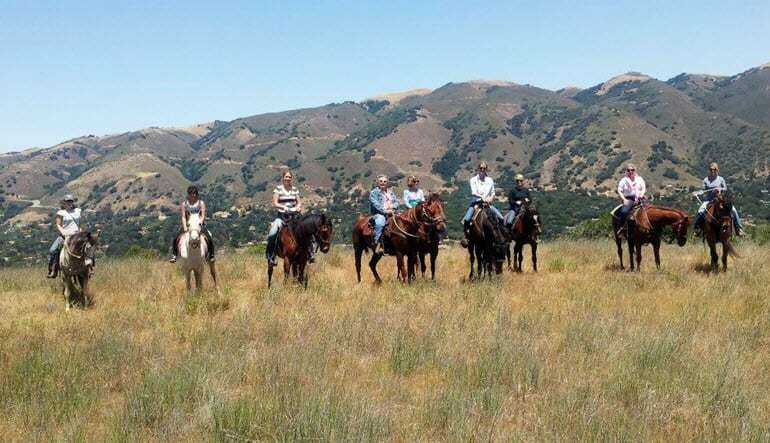 Saddle up to explore California’s natural wonders on a Hecker Pass Horseback ride. Winding through the Santa Cruz Mountains, part of the Pacific Coast Ranges, scenic Hecker Pass connects coastal Watsonville to inland Gilroy, providing passage from the coast of Monterey Bay to the beautiful vistas of the Santa Clara Valley. Considered to be the largest temperate rainforest region in the world by the World Wildlife Fund, the Santa Cruz Mountains are host to a diverse collection of flora and fauna including Coast Douglas fir and California Black Oak as well as a tremendous number of wildlife species. 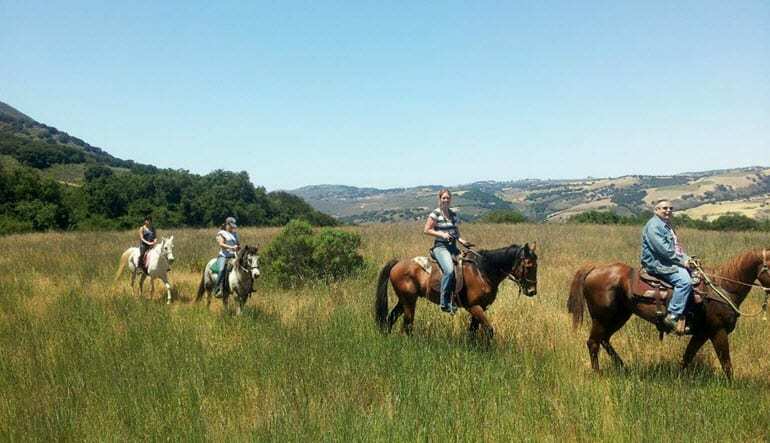 As you navigate Hecker Pass on the back of your highly trained thoroughbred, you’ll have the opportunity to ride beneath the boughs of California’s world famous redwood trees while enjoying the calls of the hundreds of families of birds that inhabit the territory. You may even spot some of the forest’s many inhabitants such as black-tail deer, foxes, or bobcats! With an experienced guide to lead the way, you’ll be able to take full advantage of what it means to experience nature on horseback, from carefully traversing the highland soil to trotting down a mountain path. 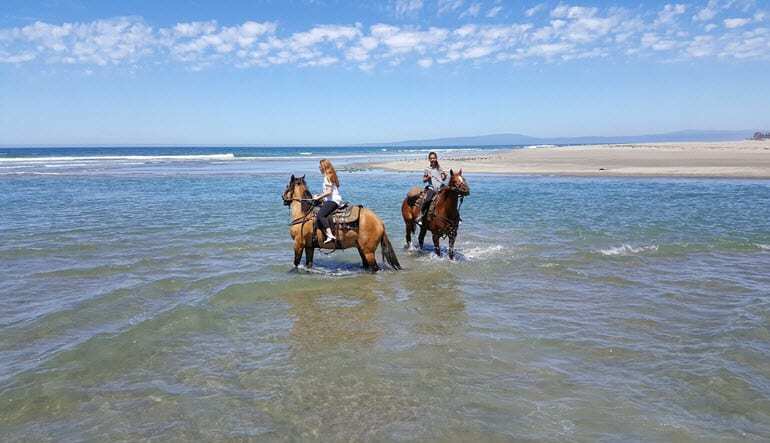 There’s no better way to discover the wonders of the California countryside than on horseback. Get an unparalleled up close and personal view of nature atop your steed on a Hecker Pass horseback ride.